When I look at Tati Compton's body of work as a tattoo artist, it's a similar experience to when I pour through the portfolio of a photographer or filmmaker I admire. Her pieces are iconic and contain an interior world full of vitality and imagination. Her creations are almost cinematic - I can picture them as scenes in the kind of movie that would make it into a film studies course. To say that I was excited to meet Tati would be an understatement. 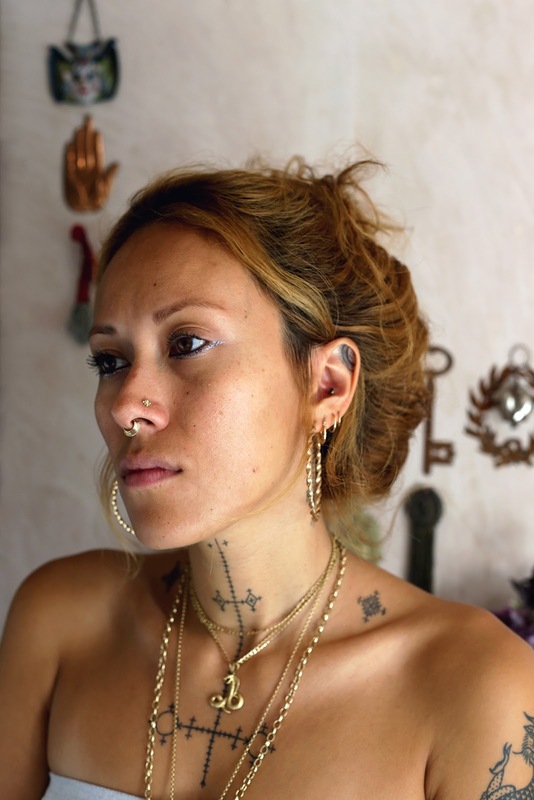 Here's what she had to say about life as a tattoo artist. Can you tell me a bit about your journey in becoming a tattoo artist? At what point did you feel confident in yourself as a tattoo artist? I started doing hand poked tattoos at home with friends in San Francisco. I liked it because it was DIY and spontaneous. When I moved to London, my now husband Danny and I would hang out with his friends at the tattoo shop. Liam Sparkes (through whom I met Danny) mentioned I should make a flash sheet and I started doing stick and pokes for friends, art shows and then at clients’ houses. When Danny and I came to visit LA we were living at the Sang Bleu Pop-Up where he was doing his artist residency. Maxime Buchi mentioned that I could do hand pokes at the pop up. It went really well so when I got back to London he invited me to be a resident at the shop. I felt confident as a tattooer when a walk-in customer who had never heard of hand poke or knew any of my work left the shop very pleased with their tattoo that I gave them. But I am continually learning and growing and changing so my confidence fluctuates with that, which I feel is essential to being creative. In a previous interview you said that travelling after high school made you want to depict the craziness and beauty that you witnessed. What were some of the things you experienced or saw that inspired your creativity? That is difficult to put into words. For anyone that has gone out on a limb and thrown themselves into a new landscape everything and anything is inspiring. Being enveloped in a completely foreign place is at once humbling and empowering. You can learn first-hand about the all and nothing. That my job rules. I've finally found a job where I can be creative and flexible and not be a slave to the grind. I can travel and take my skill with me and I get to give something meaningful to someone. What's the one thing you would change about it if you could? Nothing, that is what is so great about it - it allows for freedom and I shape its path in the choices I make. Do you see a common theme running between your own tattoos? Not really, perhaps that they have all been done by friends or myself. 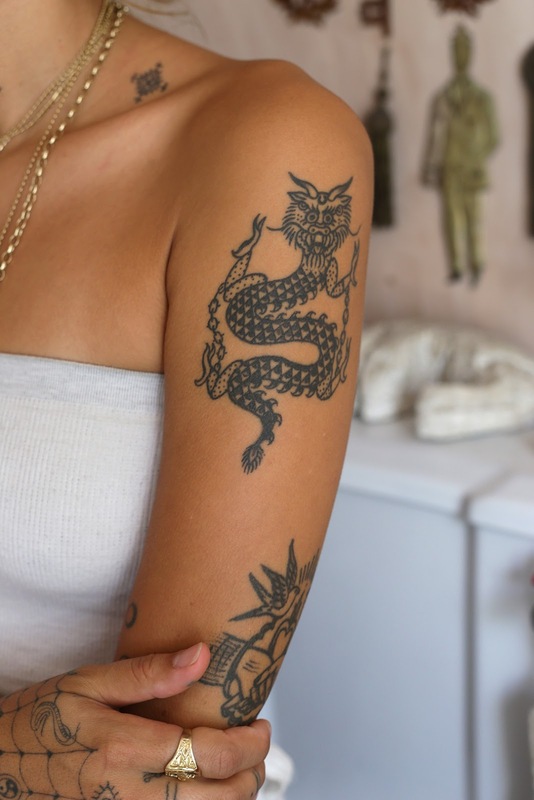 Do your tattoos reflect your personality? My tattoos reflect more of a time and place so they could reflect my personality at that time. When I got the fairy tattoo I felt like a fairy on fire. I was feeling crazy like I was trapped or like I was a free fairy flying around, but just getting burned. Or I was feeling so crazy I felt like I was on fire. So my personality was probably all over the place. A few people have told me before that it seems like I'm floating or that I float around. Tell me a bit about your favourite tattoos - what do they symbolise? One of my favourites is my Black Sabbath tattoo that my friend Moses gave me in my old backyard by the fire pit on LSD while blasting Sabbath. 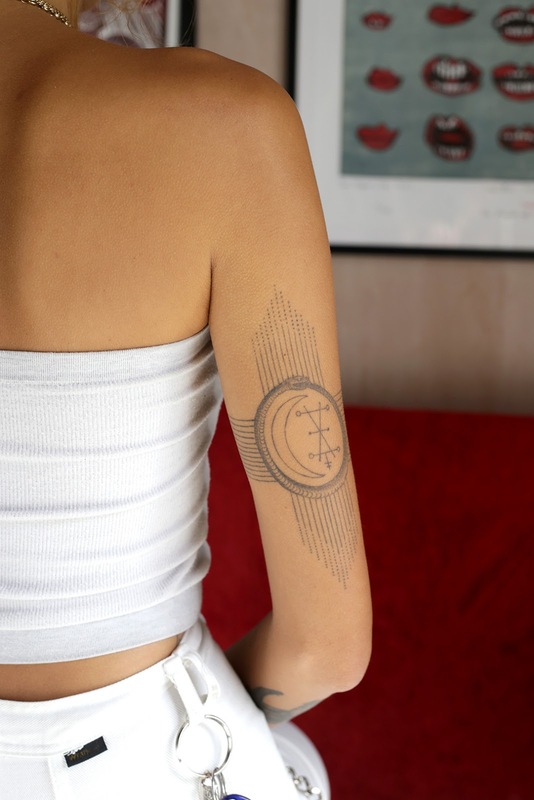 Most of my tattoos represent a moment in time with a friend or just having lots of fun or something very personal to me that I am feeling that I need to bring to the surface. Bringing those feelings to the surface is more about the act of getting tattooed - pain can be cathartic. They aren't contained in them when I look at them, they are just tattoos. They grow old and change with me. They are a part of me so I don't really look at them like that. What's the nicest thing anyone has said about your work? My friend Emmet once described my tattoos as existing on another plane or in another dimension as if they have a life of their own. I thought that was cool.